Sheffield, its name derived from the city’s River Sheaf, is a large metropolitan city and borough in South Yorkshire; in the north of England. Historically part of the West Riding of Yorkshire (and Derbyshire), Sheffield has grown to become a driving force of the north and is largely considered its own county area. Sheffield was a world leader in steelwork during the Industrial Revolution, but suffered the decline of manufacturing and industry in line with the rest of the nation. 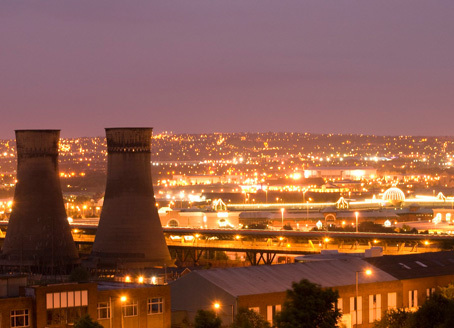 Reacting quicker than most however, Sheffield avoided the more dramatic slumps found elsewhere and grew to become one of the economic powerhouses in the region. Far removed from industrial past, Sheffield is today a vibrant, thriving commercial city, which offers considerable opportunity for investors seeking to capitalise on the region's growing demand for property investment in Sheffield. Sheffield offers investors a range of buy-to-let investment opportunities located in the heart of the city, making them very appealing to buyers. With estimated yields of up to 6% (with expected yields of up to 10% in other areas) investors can start or expand their investment portfolios in a city that continues to improve year-on year. In regards to house prices, semi-detached properties were the most purchased type of property, with an average value of £188,784 (Zoopla). This information can be useful for investors who are considering the purchase of investment property for sale in Sheffield to get a better understanding of the types of buyers in the market. The Sheffield Metropolitan borough, which includes the city and its immediate suburbs, is the third largest in the UK. With more than half a million residents, it outstrips Manchester, Liverpool and Bristol, coming just shy of neighbour Leeds. With a significant ethnic diversity, Sheffield is a base of settlement for all nationalities, with an 8% population of Asian residents, almost 4% Black and 1.5% Arab. 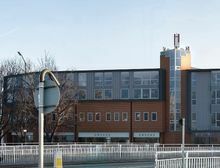 If you’re interested in buy-to-let property investments in Sheffield, take a look at the developments we currently have to offer. 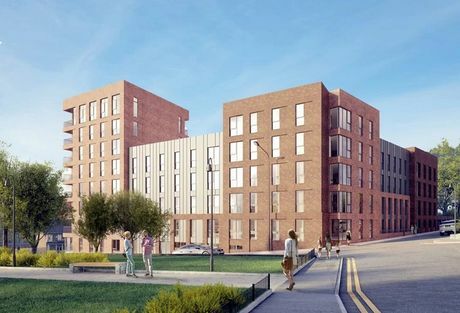 Alongside a thriving cultural community, the student population of Sheffield almost reaches 60,000 thanks to its two universities, presenting an excellent opportunity for property investment in Sheffield, particularly in the student accommodation market. Development of Sheffield’s Universities each year continues to make student life more appealing and so it’s quite clear to see why both universities are ranked very highly within the UK and Europe. Sheffield doesn’t however just cater to those currently studying within the city but wants to help graduates and young professionals stay within the city and grow with it. 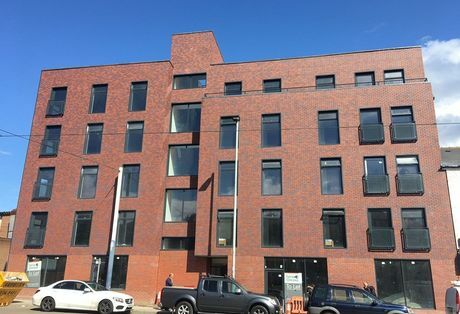 With growth comes demand and so naturally there is a constant demand for not only student accommodation, but also residential investment property for sale in Sheffield. 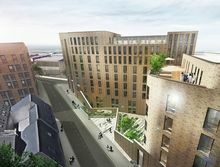 Keeping up with the growth and development of the city allows for plenty of options and further investment opportunities for those thinking about advancing their portfolio through property investment in Sheffield. 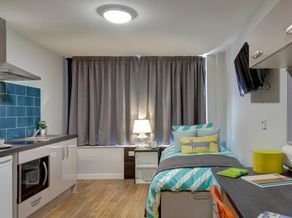 For more information about any of our student property investments in Sheffield, please contact Hopwood House today. Getting in and out of the city will be even easier as the HS2 Sheffield Midland station is integrated into the city and as it’s fairly central within the UK there are plenty of travel options if you want to explore outside the city. The English capital of London is less than three hours away, Scottish capital of Edinburgh 4 and a half hours and Welsh capital Cardiff 3 and a half hours away. 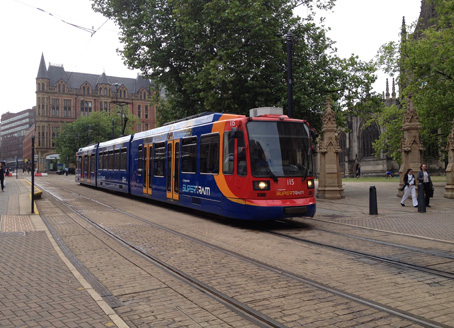 Sheffield is linked to the closer northern cities of Leeds, Bradford and Manchester with less than an hour of travel time, whether by car or one of its urban railway stations. The nearest airport is 45 miles away and connects Sheffield to a number of European destinations and the east coast of the United States. The population of Sheffield currently exceeds 550,000 (mid-2017 est.) and as the population continues to grow, this has had a natural impact on increasing house prices, along with demand. 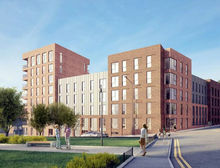 Aside from residential housing and commercial property in Sheffield, the city is becoming more and more attractive to students and therefore student accommodation, flats and city centre apartments are in strong demand for those relocating to the city. Investment in Sheffield not only comes from student, residential and commercial property, but the economy in general, which continues to develop at a rate of 5% each year and has seen its many industries, such as digital media, manufacturing, finance, engineering and technology, grow and expand, which is what makes this city so attractive to the 52,000 businesses that currently operate in Sheffield. Sheffield has seen a wealth of regeneration projects become reality, creating a more attractive place to live, work and invest. These improvements includes the cities transport links and facilities and attractions around the city. The Northern Power House Initiative has its own plans of investment. Developments such as The Moor, the £90m deal to relocate HSBC and regeneration for the Castlegate area is making the city an exciting place for investors as all of these projects will improve the economy, create more jobs and increase the cities overall population. This positive growth continues to move forwards, with Sheffield moving at around 5% annually which is a leader amongst the Yorkshire and Humber areas. Looking for property investment in Sheffield?